تُعَدُّ المیاه الجوفیَّة (الینابیع – الآبار) مصدر من مصادر المیاه العذبة فى مِصر القدیمة، وهى المیاه التى توجد فى طبقات الأرض الصخریَّة، وتخرج بطریقة طبیعیَّة عن طریق الیبانیع والعیون، أو بطریقة صناعیَّة عن طریق حفر الآبار. ویتّضح أهمیتها فى الأماکن التی تنضب فیها مصادر المیاه؛ مثل: الصحارى المحیطة بمجرى النیل وما فیها من واحات. ویهدف البحث إلى توضیح الأهمیة الاقتصادیة للمیاه الجوفیَّة النَّاتجة عن حفر الآبار، ومدى استغلال المصرى القدیم لتلک الآبار، وکیفیة إدارتها والموظفین المسؤولین، والقائمین علیها ، على الرغم من غیاب الوظائف المتعلِّقَة بالأشراف، والتَّفتیش على الآبار یرجع إلى أنَّ هذه الوظائف وظائف إداریَّة قلیلة الشَّأن تقلدها موظفون صغار الشأن؛ أدى ذلک إلى عدم ذکرها فی النّصوص المتعلِّقة بالإدارة فی مصر القدیمة. کما یهدف البحث إلى وإظهار أدوراها الحیاتیة والاقتصادیة المتمثِّلة فى إمداد المیاه للمدن، ورى الأراضى الزراعیة، وتأمین طرق القوافل وبعثات التعدین.حیث یوضح البحث مدى الاهتمام السیاسیّ والإداریّ القویّ بحفر تلک الآبار لتأمین، وإمداد طرق القوافل وبعثات التَّعدین بالمیاه. Groundwater (springs - wells) is a source of fresh water in ancient Egypt. It is the water found in the rocky layers of the ground. It is extracted naturally by means of springs or artificially by drilling wells. Its importance is evident in places where water sources are depleted, such as deserts surrounding the Nile and its oases. The paper aims at clarifying the economic importance of the groundwater derived from the drilling of wells and the extent of the ancient Egyptian's exploitation of wells. It also points out how groundwater wells are managed and the responsible officials and those who maintain them. Moreover, it shows the roles of wells in life and economic aspects represented in supplying water to cities and irrigating agricultural land and securing convoys' roads and mining missions. - إسلام عامر،" إحصاء الماشیة فی مصر القدیمة حتى نهایة عصر الدولة الحدیثة"، رسالة دکتوراة غیر منشورة، کلیة الآداب جامعة الإسکندریة، (2011) . - أمنیة عبد الفتاح محمد السودانی،" المناجم والمحاجر فی مصر القدیمة (منذ بدایة الدولة القدیمة وحتى نهایة الدولة الحدیثة )"، رسالة دکتوراه غیر منشورة، کلیة الآداب، جامعة طنطا (2000) . - دومینیک فالبیل وجونیفییف هوسون،" الدولة والمؤسسات فى مصر (من الفراعنة الأوائل إلى الأباطرة الرومان)"، ترجمة فؤاد الدهان، القاهرة، ((1995. - زینب محروس،" الضرائب فى مصر القدیمة حتى نهایة الدولة الحدیثة"، رسالة ماجستیر غیر منشورة، کلیة الآثار، جامعة القاهرة، (1986). - عبد العزیز صالح، " حضارة مصر القدیمة وآثارها، الجزء الأول"، (القاهرة 1962). - محمد صبرى محسوب، " الجغرافیا الطبیعیة، أسس ومفاهیم حدیثة "، ( القاهرة 1996). - وفاء محمد حسن، " المیاة فى الحیاة الیومیة فى مصر القدیمة منذ أقدم العصور وحتى نهایة الدولة الوسطى"، رسالة ماجستیر غیر منشورة، کلیة الآثار جامعة القاهرة، 2003)) . 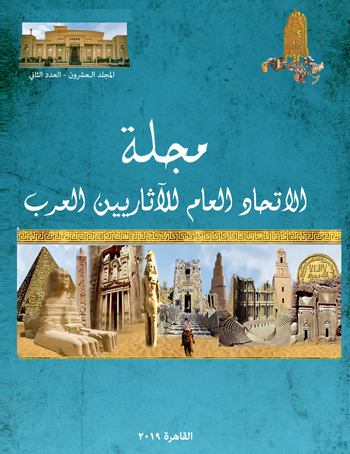 Al-Ayedi .A.R, Index of Egyptian Administrative of Religious and Military titles of the New kingdom, (Cairo 2006). Abdel Monem A. H Sayed, "Discovery of the Site of the 12th Dynasty Port at Wadi Gawasis on the Red Sea Shore. (Preliminary Report on the Excavations of the Faculty of Arts, University of Alexandria, in the Eastern Desert of Egypt - March 1976)", in: RdE, 29 (1977). _________, "New Light on the Recently Discovered Port on the Red Sea Shore", in: CdE, 58, Nos. 115-116 (1983). Allen .J.p, The Ancient Egyptian Pyramid, (Atlanta, 2005). Attia.M. I, "Ground Water in Egypt", in: Bulletin de la Société de Géographie d’Égypte, 26, (1953). Badawy .A, The Tombs of Iteti, Sekhem'ankh-Ptah, and Kaemnofert at Giza, (Los Angeles, .W. Schenkel, Die Bewässerungsrevolution im Alten Ägypten, (Mainz 1978). Baer. K," The Low Price of Land in Ancient Egypt" in: JARCE 1 (1962). Bellion .M, Égypte ancienne. Catalogue des manuscrits hiéroglyphiques et hiératiques et des dessins, sur papyrus, cuir ou tissu, publiés ou signalés, (Paris, 1987). Blackman. A.H, Middle Egyptian Stories, part 1, (Bruxelles, 1932). Borchardt. L, Statuen und Statuetten von Konigen und Privartleuten im Museum von Kairo, II (Berlin 1908). __________, "Ein Königserlaß aus Daschur" in: ZÄS 42, (1905). Caminos R. A, Tale of Woe. From a Hieratic Papyrus in the A. S. Pushkin Museum of Fine Arts in Moscow, (Oxford, 1977). Caton-Thompson.G.," Mr Beadnell's remarks on the prehistoric geography and underground waters of Kharga Oasis: comments and replies" In: GJ, 81 (1933). Černý .J, Late Ramesside letters (Bruxelles 1939). ________, Papyrus hiératiques de Deir el-Médineh. Tome .I (Le Caire1978). _________, A Community of workmen at Thebes in the Ramesside Period, (Cairo 2001). Couyat.J et Montet.P, Les inscriptions hiéroglyphiques et hiératiques du Ouâdi Hammâmât, (Le Caire 1913). Davies .N.de G, the Rock tombs of El-Amarna, vol .I, (London 1903). Driaux D., "Water supply of ancient Egyptian settlements: the role of the state. Overview of a relatively equitable scheme from the Old to New Kingdom (ca. 2543–1077 BC)" in: Water History, 8, (2016). Erichsen .W, Papyrus Harris I, hieroglyphische Transkription, (Bruxelles 1933). Eichler. E, "Neue Expeditionsinschriften aus der Ostwüste Obeär gyptens, Teil II: Die Inschriften"in: MDAIK, 54, (1998). _________, "Selke, Untersuchungen zu den Wasserträgern von Deir el-Medineh I" in: SAK 17 (1990). Erman. A, "Zu den Legrain'schen Inscriften in: ZÄS 35 (1897). Eyre C.J, "The Water Regime for Orchards and Plantations in Pharaonic Egypt" in: JEA 80 (1994). Fakhry .A, [Sammlung] Recent explorations in the oases of the western desert, (Cairo, 1942). Faulkner R.O, The Ancient Egyptian Pyramid Texts, (Oxford, 1969). Franzmeier.H,"Well and Cisterns in Pharaonic Egypt: The Development of a Technology as a progress of Adaptation to Environmental Situations and Consumer's Demands" in: Current Research in Egyptology 2007, (Oxford 2007). _________, "Xnm.t, Sd.t , Xnw.t, and abr, Ancient Emic terms for well and Cisterns", in: Current Research in Egyptology 2008, (Bolton 2008). Gamee-wallert. I, Ägyptische und ägyptisierende Funde von der Iberischen Halbinsel, (Wiesbaden, 1978). Gardiner .A.H, Notes on the Story of Sinuhe, (Paris, 1916). ____________, & T.E. Peet, The Inscriptions of Sinai, (London 1917). ____________," The Dakhleh stela" in: JEA, 19 (1933). ____________, The Wilbour Papyrus, 4 Vols, (London 1941- 1952). ____________, Ramesside Administrative Documents, (Oxford 1968). ____________, The royal canon of Turin, (Oxford 1959). ____________, Egyptian Grammar, Begin and introduction to the Study of Hieroglyphs, third edition, (London, 1973). Gauthier .H, "Le temple de l'Ouâdi Mîyah (El Knaïs)"in: BIFAO, 17 (1920). Goedicke .H, Königliche Dokumente Aus dem Alten Reich, (Wiesbaden, 1967). Goyon.G, "Le papyrus de Turin dit "des Mines d'Or" et le Wadi Hammamat", in: ASAE 49 (1949), 381. __________, Confirmation du Pouvoir Royal au Nouvel an [Brooklyn Museum 47.218.50], (Kairo 1972) Planches. (Oxford1974). Graefe.E and Mohga. W, "Eine fromme Stiftung für den Gott Osiris-der-seinen-Anhänger-in-der-Unterwelt-rettet aus dem Jahre 21 des Taharqa (670 v. Chr.)" in: MDAIK 35 (1979). Gunn .B, &A.H.Gardiner "New Renderings of Egyptian texts" in: JEA, 4, (1917). Habachi .L, Tell el-Dab'a. Tell el-Dab'a and Qantir. The site and its Connection with Avaris and piramesse, (Wien 2001). Hannig .R, Die Sprache der Pharaonen Großes Handwörterbuch Deutsch-Ägyptisch, (Mainz, 2000). Hassan. S, Le poème dit de Pentaour et le rapport officiel sur la bataille de Qadesh, (Le Caire, 1929). _________, "Ein Feldzug unter Amenophis IV. Gegen Nubien" in: SAK, 8 (1980). _________, "Anmerkungen zum Turiner Königspapyrus", in: SAK ../../../../ESLAM/AppData/Local/Temp/eb.htm - p=SAK19 (1992). Janssen .J, "The Water Supply of a Desert Village", in: Medelhavsmuseet Bulletin, Stockholm 14 (1979). _________," Prolegomena to the Study of Egypt's Economic History during the New Kingdom" in: SAK, 3 (1975). Jones .D, An Index of Ancient Egyptian Titles, Epithets and Phrases of the Old Kingdom, 2vols, (Oxford 2000). Kitchen K. A, "Punt and How to Get There"in: Orientalia, ../../../../ESLAM/AppData/Local/Temp/eb.htm - p=Orientalia 40 (1971). Kemp B. J, Amarna Reports I; V (London, 1984; 1989). ________, "The Amarna Workmen's Village in Retrospect: in: JEA, 73 (1987). ________, The City of Akhenaten and Nefertiti: Amarna and its People, (London 2012). Lacau .P et Chevrier .H, Une chapelle d'Hatshepsout à Karnak I, (Le Caire 1977). LBeadnell H .J, Remarks on the prehistoric geography and underground waters of Kharga Oasis" In: GJ 81 (1933). G. Legrain," Deux stéles trouvées à Karmak en février 1897 " in: ZÄS 35 (1897). Loprieno .A, Ancient Egyptian. A linguistic introduction, (Press, 1996). Moussa .A, und Altenmüller .H, Das Grab des Nianchchnum und Chnumhotep, (Mainz, 1977). D. Meeks, Annee Lexicographique Egypte Anceinne, tomes 1-III, (Paris, 1980- 1982). Menu. B, Le régime juridique des terres et du personnel attaché à la terre dans le Papyrus Wilbour, (Lille, 1970). ________, Le régime juridique des terres en Égypte pharaonique. Moyen Empire et Nouvel Empire, Revue historique de droit français et étranger, Paris 49 (1971). ________, "La Stéle dite l'Anpanage" in: M.-M.Mactoux and E.Geny (Eds), Mélanges P.Lévéque, II (Besancon 1989). Mercer .S.A.B, The Pyramid texts, in translation and Commentary, vol I, (London 1952). Moreno Garcia. J.C, Estates (old Kingdom) in: Frood and W. Wendrich (eds. ), UCLA Encyclopedia of Egyptology, (LosAngeles2008). __________, Études sur l'administration, le pouvoir et l'idéologie en Égypte, de l'Ancien au Moyen Empire, (Liège, 1997). Morris .E.F, The Architecture of Imperialism. Military Bases and the Evolution of Foreign Policy in Egypt’s New Kingdm. (Leiden2005). Otto .E, "Brunnen" in: LÄ I, (Wiesbaden 1975). Peet .T.E, The City of Akhenaten I. Excavations of 1921 and 1922 at El-ʿAmarneh, ExcMem 38, (London 1923). Quack .J.F," Philologische Miszellen 2" in: Lingua Aegyptia 3, (1993). Renfrew .A.C, " Report on 1986 Excavation and survey the survey of Site X 2 " in: Kemp BJ editor Amarna Reports IV, (London 1987). Rose .P.J," Report on the 1986 Amarna Pottery survey" in: Kemp BJ editor Amarna Reports IV, (London 1987). ________, The Eighteenth Dynasty Pottery Corpus from Amarna, ExcMem 83, (London 2007). Rother .R.D & Miller .W.K," More Inscriptions from the Southern Eastern Desert" in: JARCE, 36, (1999). Satzinger .H, Syntax der Präpositionsadjektive ("Präpositionsnisben") in: ZÄS 113 (1986). Sethe .K, Aegyptische Lesestüke, Texte de Mittleren Reiches,(Leipzig, 1928). Spiegelberg .W, "Der Siegeshymnus des Merneptah auf der Flinders Petrie-Stele". In: ZÄS 34 (1896). Schenkel .W, Aus der Arbeit an einer Konkordanz zu den altägyptischen Sargtexten, (Wiesbaden 1993). Taylor. J.A, An Index of Mal Non-Royal Egyptian, Titles, Epithets& Phrases of the 18th Dynasty, (London 2001). Tresson .P, La stèle de Koubân, (Le Caire, 1922). Strudwick .N, "Texts from the Pyramid Age" in: Writings from Ancient word, 16, (Atlanta 2005). Valbelle .D, Catalogue des poids à inscriptions hiératiques de Deir el-Médineh. Nos 5001-5423. Incluant un manuscrit de Jaroslav Černý, (Le Caire1977). _________, "Les ouvriers de la tombe". Deir el-Médineh à l'époque ramesside,) Le Caire, 1985). J.Vercoutttt, "Une campagne militaire de Séti I en Haute Nubie. Stèle de Saï S. 579", in: RdE, 24 (1972). Wente .E.D, Late Ramesside Letters. Studies in Ancient Oriental Civilisation No. 33, (Chicago 1967). __________, Letters from Ancient Egypt. Translated, (Atlanta (Georgia), 1990). Ward .W.A, Index of Egyptian Administrative and Religious Titles of the Middle Kingdom, (Beirut 1982). Warburton .D.A, State and Economy in Ancient Egypt. Fiscal Vocabulary of the New Kingdom, (Fribourg / Gottinen 1997).